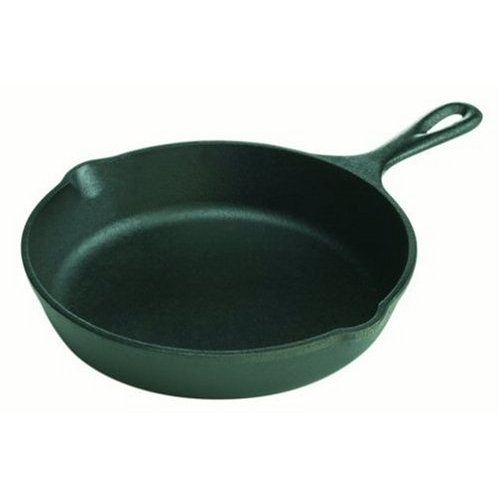 This durable, pre-seasoned cast iron skillet is a necessity in every kitchen. The skillet can also be used in the oven or on the grill. Made by Lodge in the USA. Not dishwasher safe. Not for use on a smooth-top electric stove.